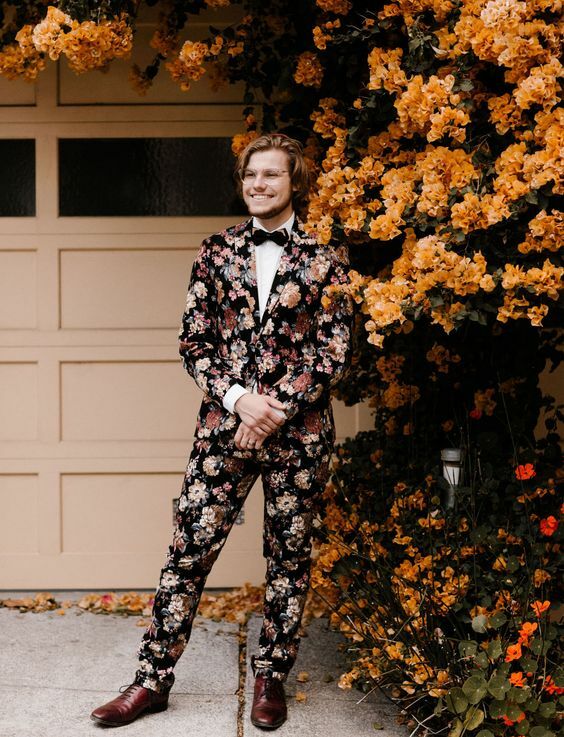 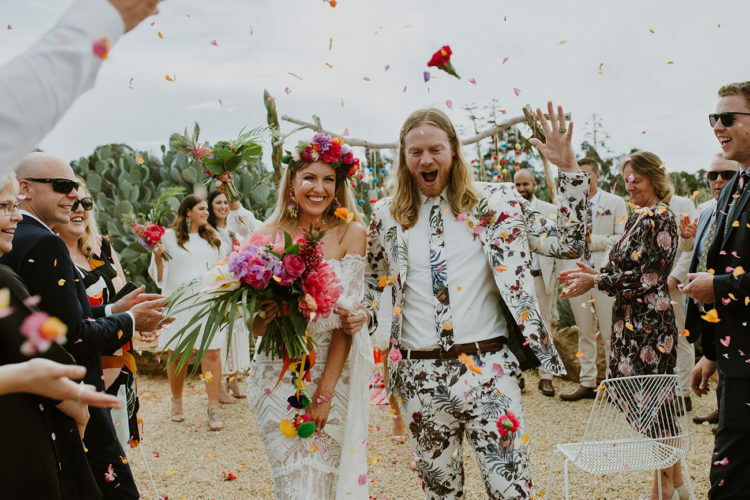 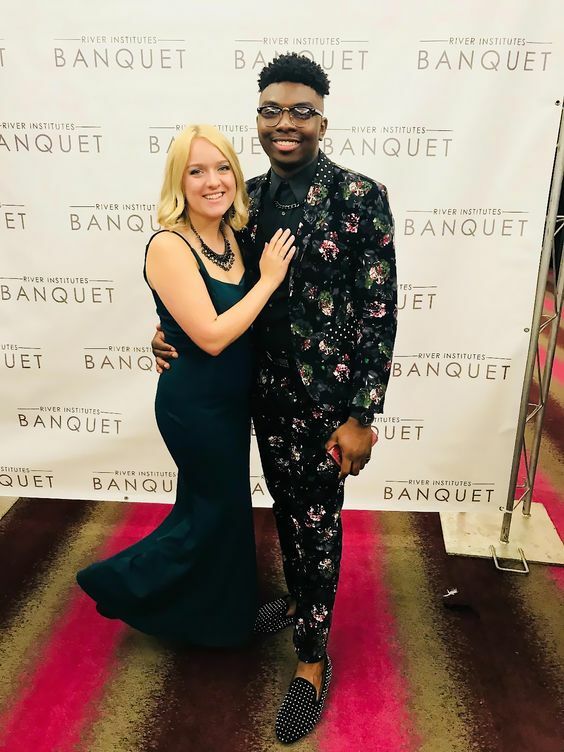 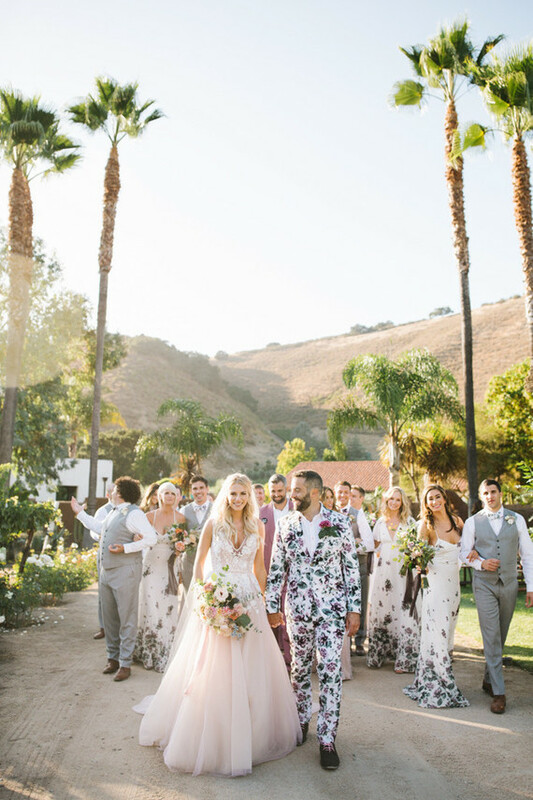 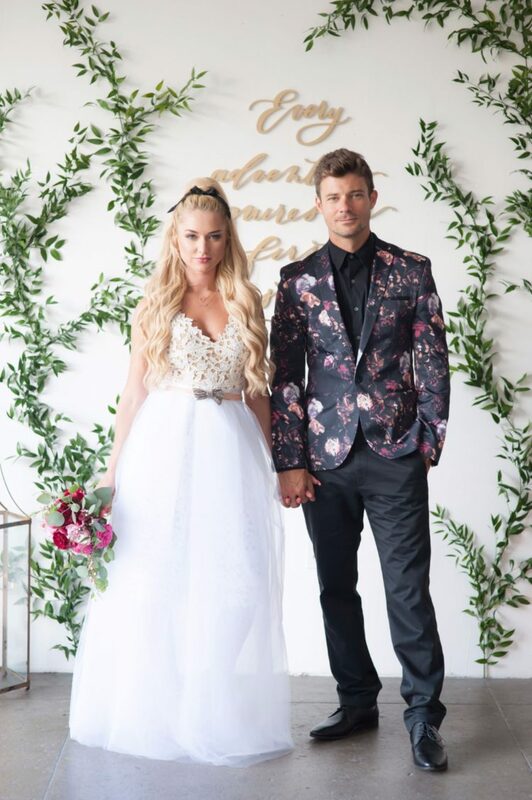 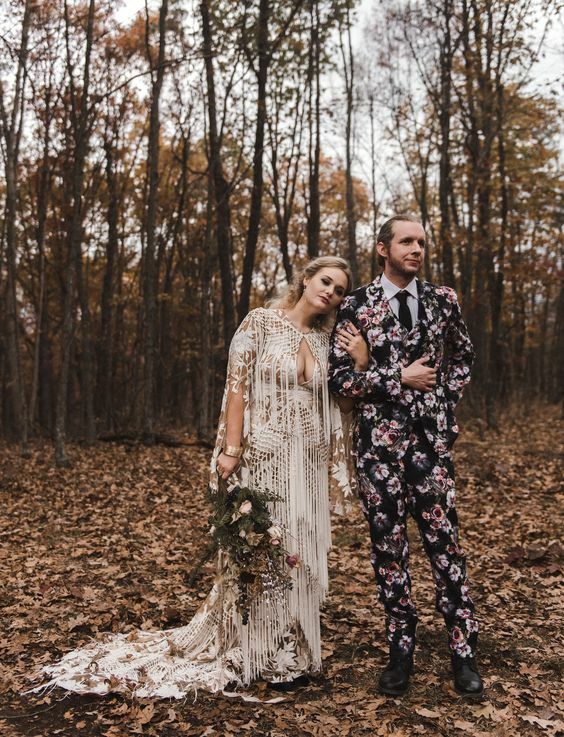 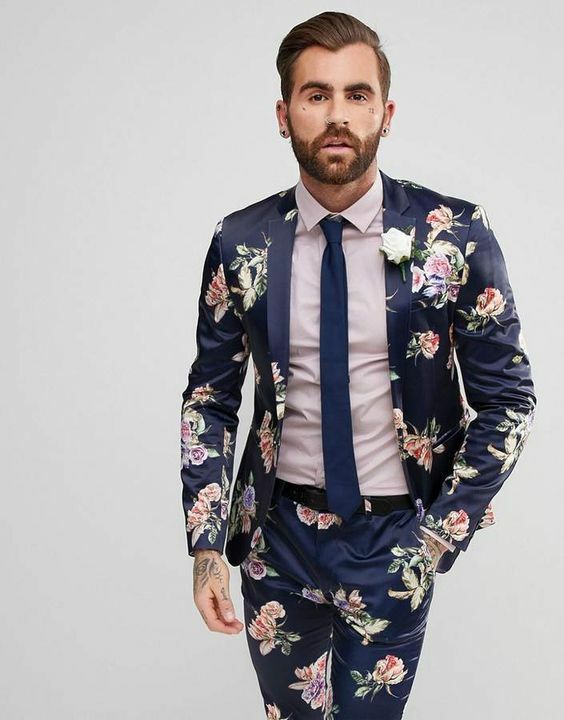 Floral attire and accessories are extremely trendy for groom’s look, and if last year we mostly saw floral ties and sometimes shirts, this year is all about amazing floral suits. 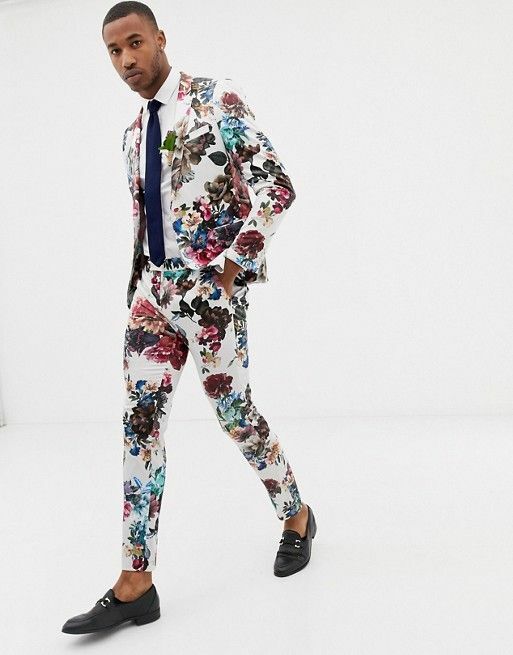 This isn’t only for LGBT grooms, all the grooms should feel free to rock such trendy attire to look fashion-forward. 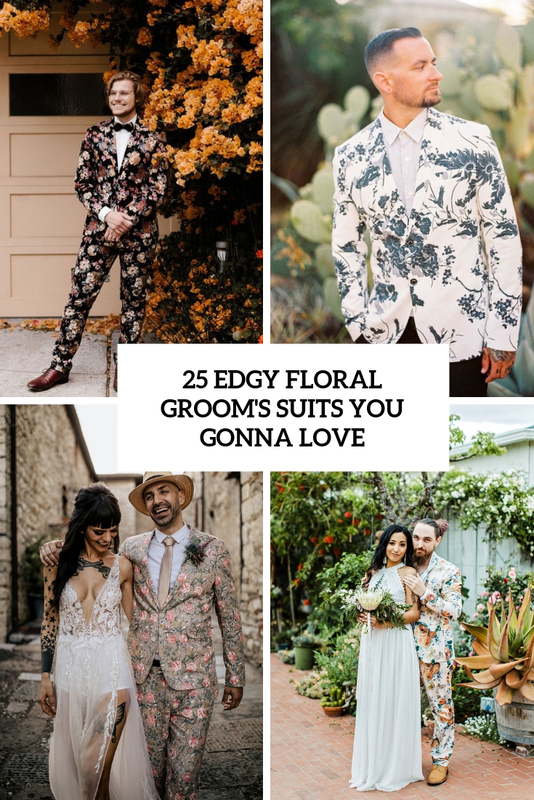 Here are some ideas you’ll admire! 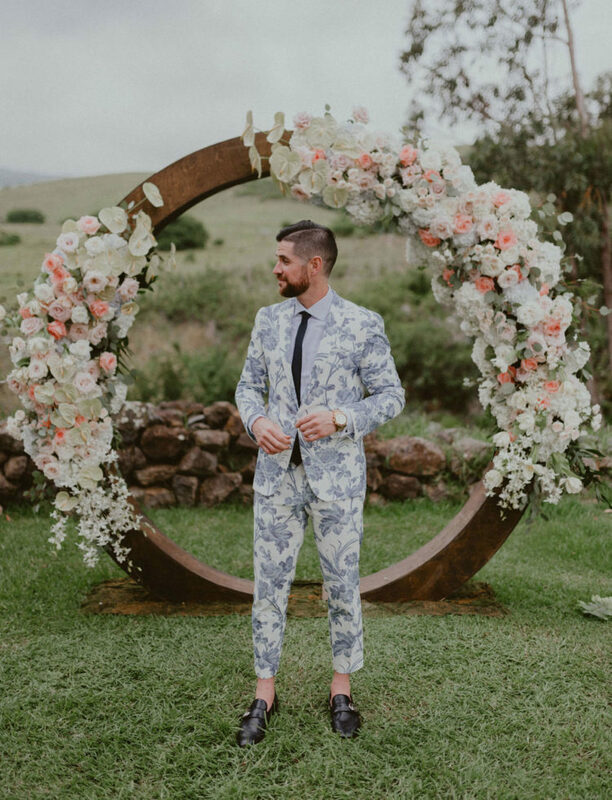 A moody suit can be a nice idea for a fall or winter groom’s outfit and of course you may rock it in any season if you love such an idea. 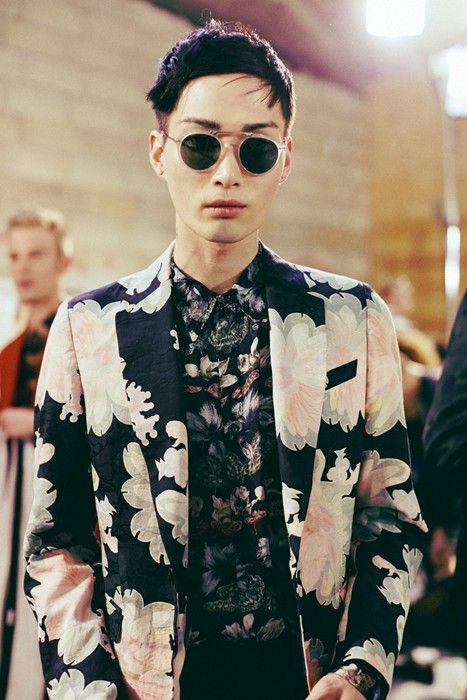 Moody floral suits often come with rather realistic prints, which are usually done in neutrals. 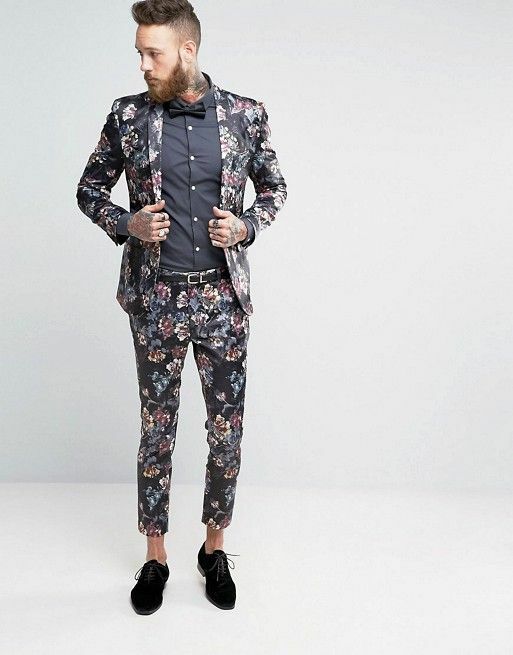 That makes your look calmer and more masculine, add a black shirt or even a matching floral shirt and go! 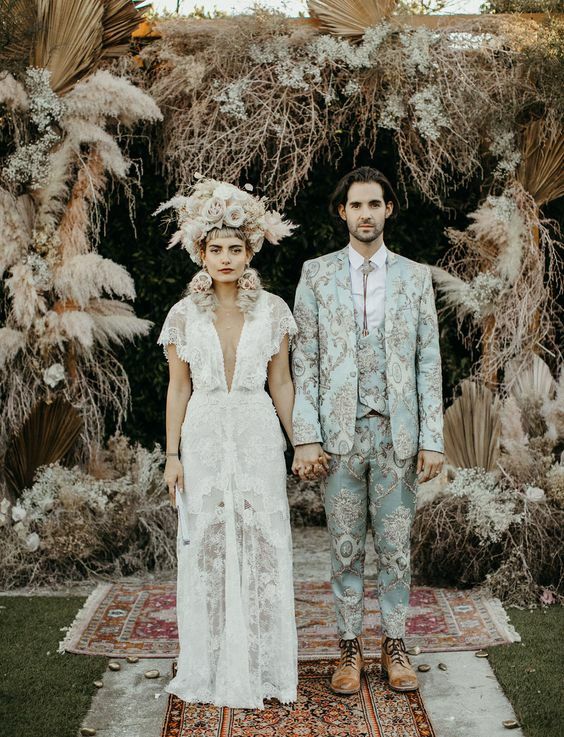 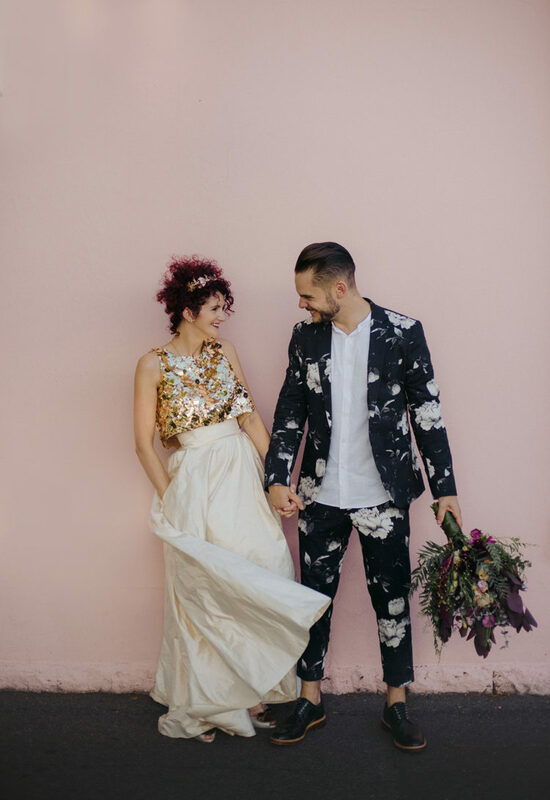 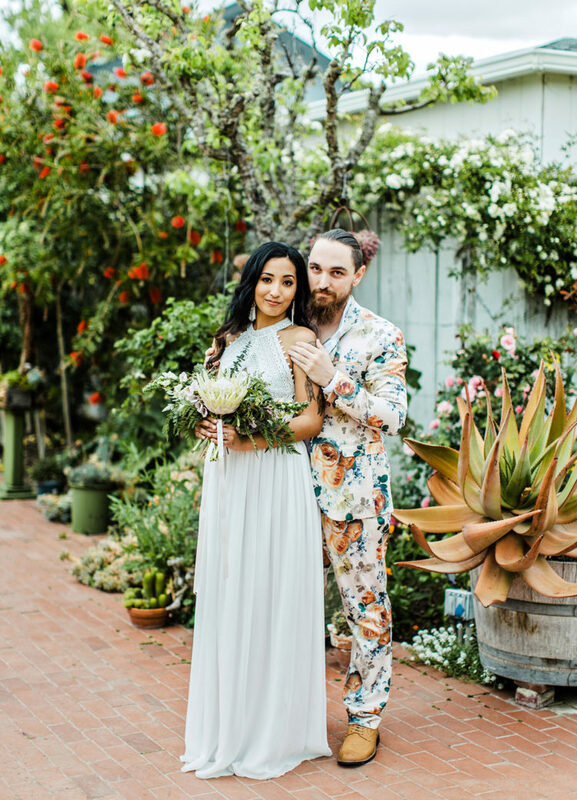 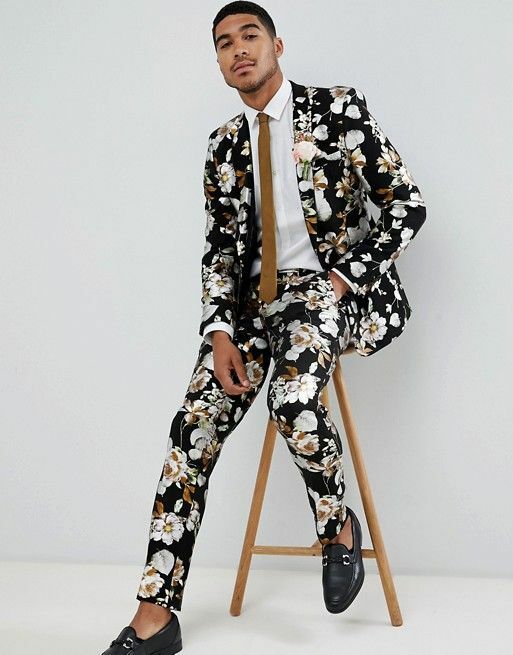 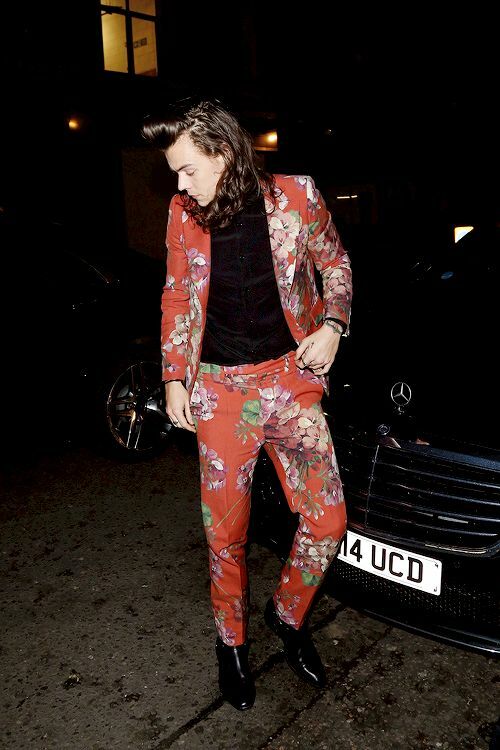 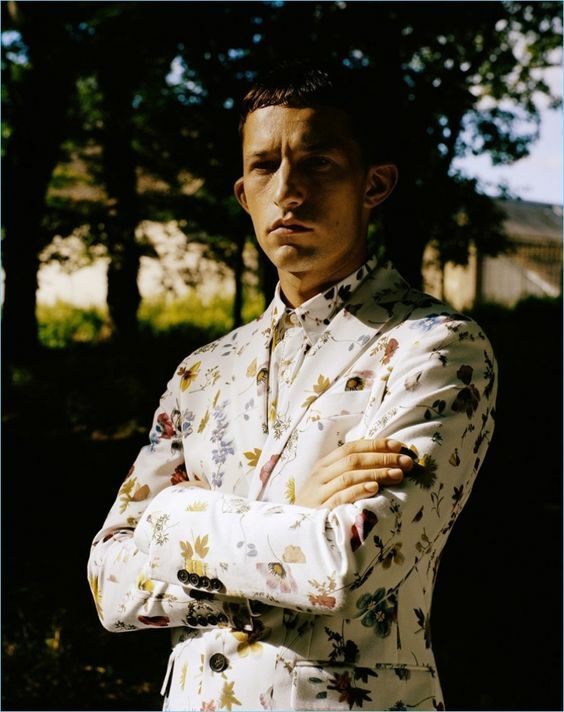 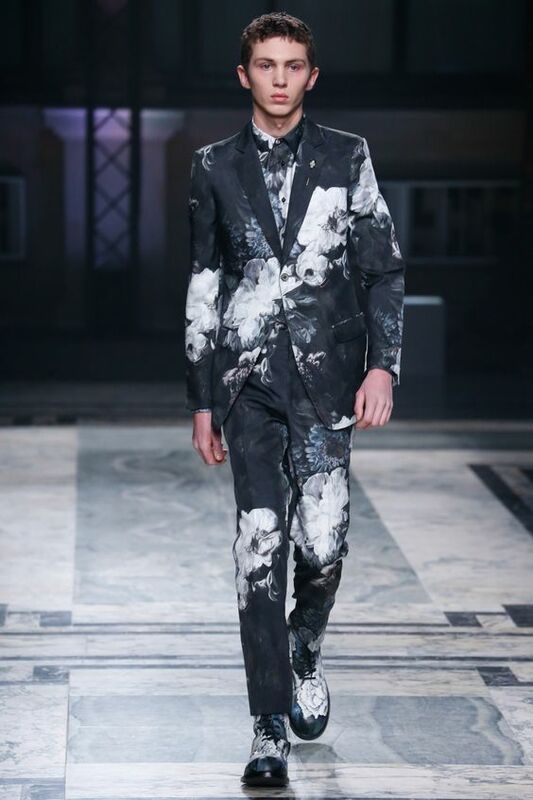 You may also find moody floral suits with bright prints, this is really a gorgeous idea for a summer or fall groom’s look. 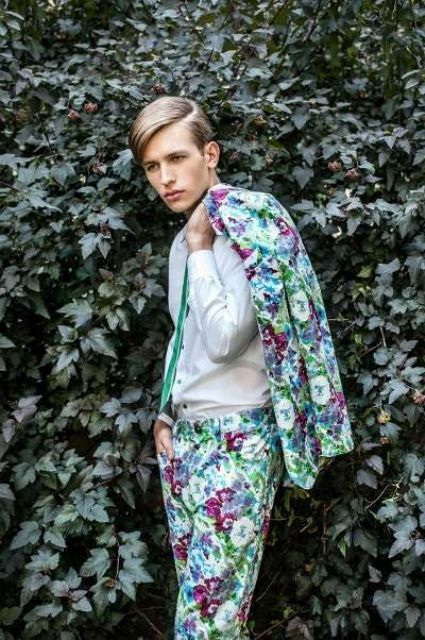 Pair such a suit with a neutral shirt or a shirt that matches the print color for an elegant look. 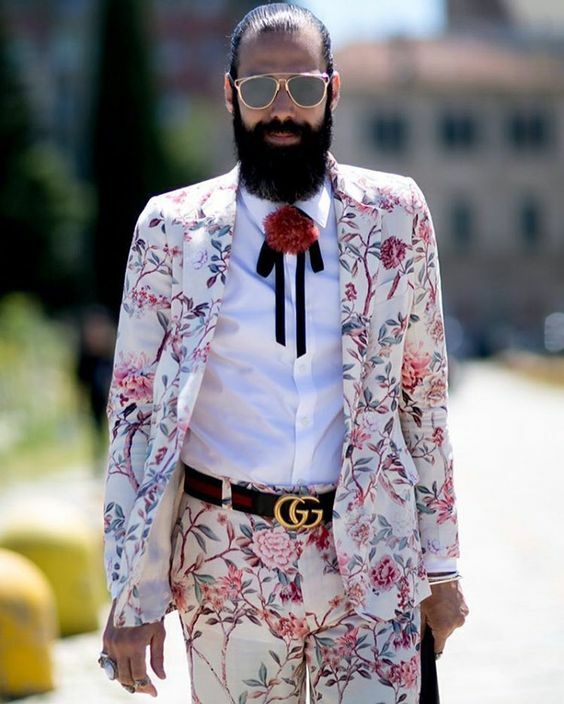 if you want a tie, go for a black one, or try a bolo tie to stand out even more. 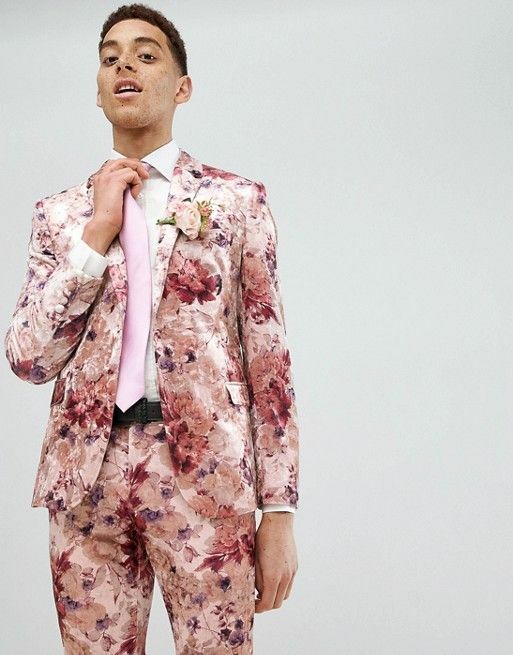 A bright floral suit is an amazing idea for a spring or summer wedding – you are sure to be on top! 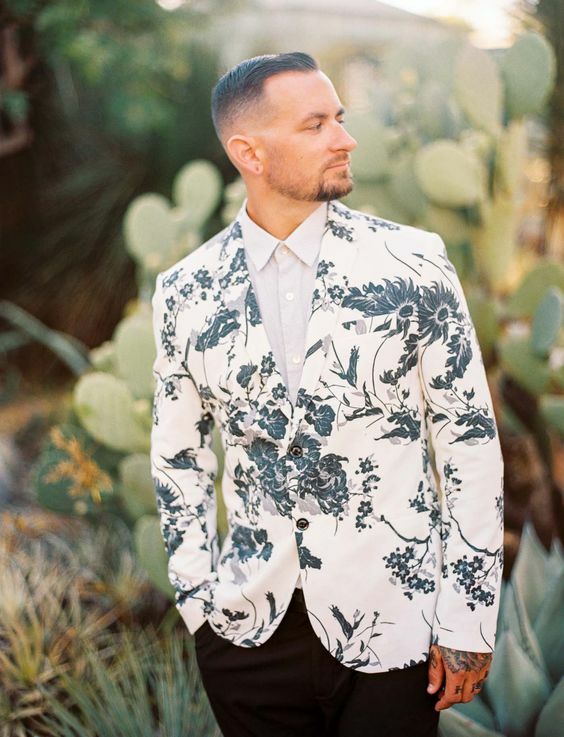 It may be a three-piece or a two-piece suit, add a neutral shirt or a colorful one that matches your print color, put on moccasins and voila! 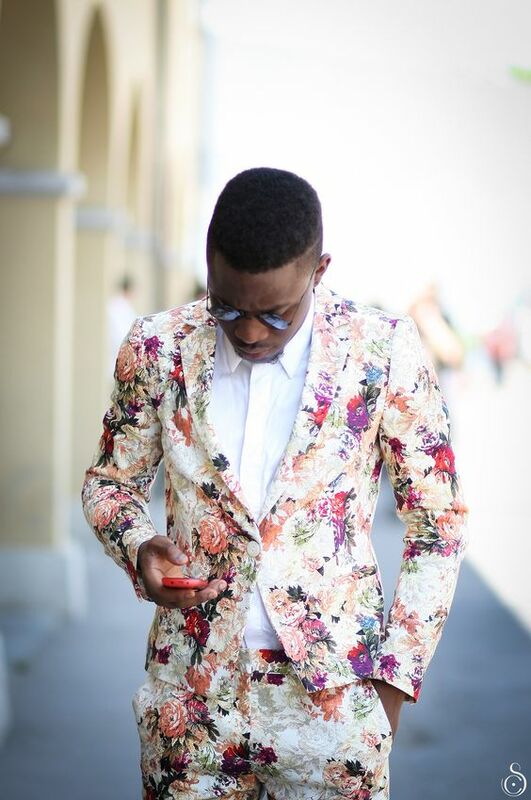 You may also try a floral blazer, a shirt and black pants or neutral pants to look edgy yet not too much. 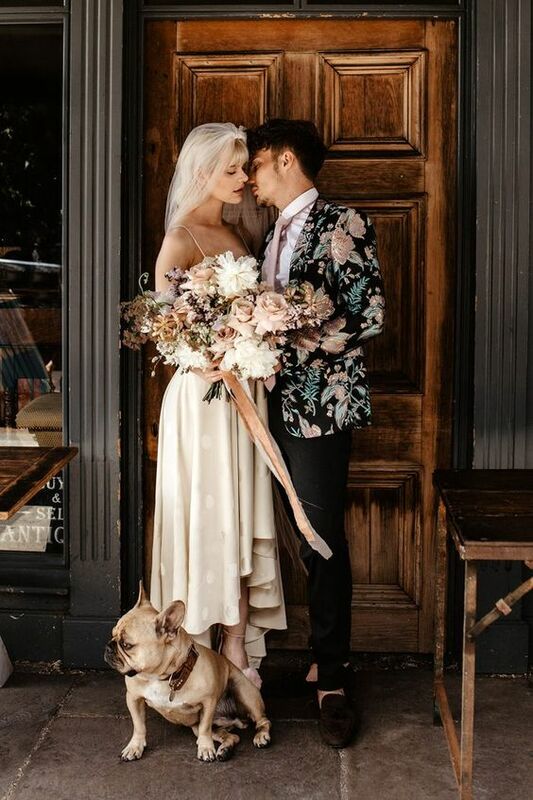 As for ties, go neutrals, go black or prefer a bolo tie, which accents your unusual wedding attire.